Detective Leo Junker thought he’d crossed his last line. But he’s never learned to say no. So when an escaped criminal he knows all too well hands him a photo of a murdered prostitute, he reopens the cold case as a favour. Everyone’s busy and everyone’s got better things to do, but is there a darker reason that Angelica Reyes’ death has languished unsolved for five years? As Leo’s investigation pushes further into the past — Sweden’s, Angelica’s, his own — he’ll come face to face with the corruption at the heart of things. Yet the reckoning may come too late — not only for Angelica Reyes, but for everyone. At times I floundered a bit in putting the plot of this novel together - mainly I think because I have not read the three earlier novels in the series and so am missing a bit of background information. Perhaps also too because I am not Swedish. Detectives Leo Junker and Gabriel Birck are on overnight surveillance in Stockholm watching the comings and goings at a particular address, taking photographs and videos. Stockholm Police have been restructuring for a year, attempting to weed out corruption, and to streamline services. Junker receives a letter in the post which contains a photo that he recognises - a prostitute who was murdered nearly 5 years before. On the back a phone number and the words "help me". The person who has contacted him is a friend from his adolescence and years ago they rescued this girl, saving her life. As a result of meeting with Grim, who is actually an escaped criminal, Leo gets permission to re-open the case into the girl's murder, for one last look at the evidence. It is the typical can of worms, involving corruption at the highest level. 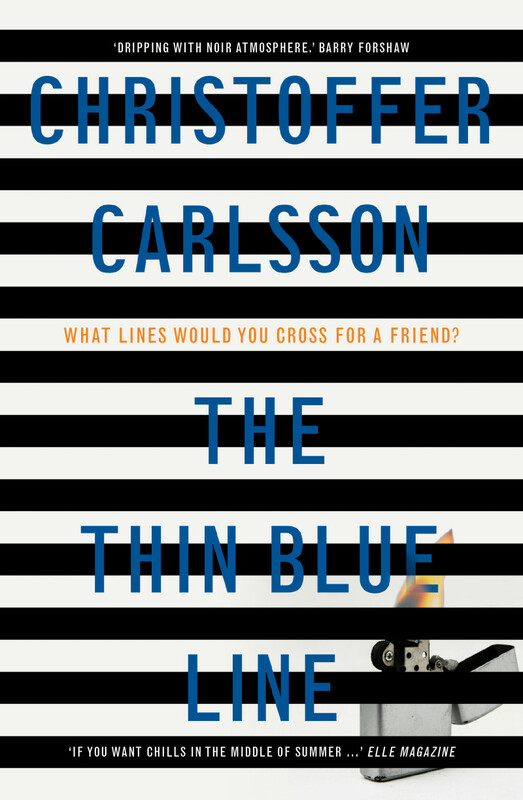 Christoffer Carlsson has a PhD in criminology, and is a university lecturer in the subject. He has written five crime novels, including the bestselling The Invisible Man from Salem and the Young Adult noir October is the Coldest Month. In 2012, he was awarded the International European Society of Criminology's Young Criminologist Award.